In the law, civil responsibility for one’s actions is based on violating a duty. The duty can be created by a statute or by the common law. Statutes are written laws enacted by the legislature. The common law is the body of law that has been created over time based on earlier decisions by judges. In Virginia, the common law is based on laws originally developed in England. A business owner must look to both the statutes and the common law to determine the duties owed by a business owner to customers or clients who come on his business premises. Statutes that set out the duties a business owner owes to his customers include laws containing building codes and fire codes, as well as other laws passed by the legislature to protect the safety and security of persons who come onto the business premises. From 1915 until 2003, an organization called the Building Officials and Code Administrators (“BOCA”) published a national building code (the “BOCA Code”), and periodically all or parts of the Code were adopted by the Virginia legislature. In 2003, BOCA merged with some other building safety and fire safety organizations to form the International Code Council (“ICC”), which now publishes several different codes. These codes are revised every three years. Almost all of the states have adopted some of these codes. Virginia has adopted some of the most recent codes, including the 2006 IBC (“International Building Code”), the 2006 IEBC (“International Existing Building Code”), and the 2006 IFC (“International Fire Code”). These codes are designed to promote safety. For instance, there is a building code section that requires steps to be of certain dimensions (depth and height of each step) so that the steps are not too steep. A code section also requires that within a staircase, each step must have the same depth and height. As you walk, you have a certain stride. If you suddenly encounter a step that is higher or lower, or narrower or deeper, than the previous one, you are more likely to fall. Similarly, there is a fire safety code section that prohibits owners from obstructing building exits, so that during an emergency the customers will have enough room to leave quickly and won’t fall as they attempt to leave in a hurry. The common law also places certain duties on a business owner. Generally, the law requires that a business owner exercise the ordinary care that a reasonable person would use under the circumstances. In addition, the business owner is required to have the premises in a reasonably safe condition for the customer, and to warn the customer of any unsafe condition which the owner knows about or should, using ordinary care, know about. Under Virginia law, a business owner has three duties that are part of the duty to have the premises in a reasonably safe condition. First, the owner has a duty of “prevision”; that is, an owner must take steps to foresee how a customer might be injured on his premises. An owner should inspect the premises to look for unsafe conditions. For instance, to fulfill his duty to maintain the premises in a reasonably safe condition, an owner should be aware that the most common cause of injury in a business is a fall. The owner should inspect the premises with this risk in mind, that is, “foreseeing” this risk of injury. Second, the owner has a duty of “preparation”; that is, to prepare for customers to come onto the premises. The duty of preparation includes planning for how customers will enter and exit, how they will use the premises, what part of the premises they will use, etc. The duty of preparation also includes making sure the premises are ready for customers, so that furniture and other obstructions are placed so that customers can use the premises safely. The duty of preparation also includes a duty to train employees to be conscious of these dangers and also to respond properly to emergencies. For example, since the most common cause of injury is a fall, and falls are often caused by something on the floor, a business owner should train their employees appropriately. Employees should be trained to check the floor before the business opens each day, to constantly be looking for anything that may have been dropped or left on the floor, and to promptly remove any such hazard. Finally, the business owner has a duty of “lookout”. This means a business owner must use ordinary care to look for objects, conditions, or persons that may cause a danger, and to either correct these problems or, if not possible, to warn or prevent access to such dangerous situations. A business owner should also train employees to keep a “lookout” for the safety of customers. Maintaining safety awareness among employees is an important part of a store owner’s duties. The law in Virginia also requires a customer to use ordinary care for their own safety. However, a customer is permitted to assume that the premises are reasonably safe for his visit, unless the customer knows or should know of the danger. Thus, if a danger is “open and obvious” to a customer using ordinary care for his own safety, the business owner is not liable. But a business owner who opens his business to the public must be aware that elderly or disabled persons may use the premises. In fact, the owner is required to make his premises accessible to handicapped persons. Elderly or disabled people may have difficulty walking or difficulty seeing, and the business owner must prepare for customers with these limitations. Walking areas must be sufficiently wide. Lighting must be adequate even for a person with limited visibility. A business owner must realize that children will be present, and that children are not capable of taking the care that an adult can for their own safety and the safety of others. In one case in Virginia, where a store owner left a mirror leaning against a wall, and a child was injured when he bumped into it and it fell on him, the Court agreed that a jury could properly hold the business owner responsible for the injury because the owner had not corrected this dangerous condition. The Virginia Supreme Court has noted that a business owner must realize that it is the nature of a young child to act thoughtlessly and upon childish impulse, heedless of danger, and without consideration of the consequences, and a business owner must act accordingly in preparing for customers who might bring children. Of course, the standard is also based on “ordinary care under the circumstances”, so that an owner of an industrial equipment company would presumably be held to a different standard than the owner of a toy store. Many years ago, insurance companies used to have their agents perform “safety audits.” These audits involved both an inspection of the premises, where the agent would point out and require the business owner to correct unsafe conditions. The agent would also train employees in “safety awareness”, and that the employees must be conscious of the legal requirement to have the premises in a safe condition for customers. These days, business owners must perform these safety audits themselves. If they don’t, and a customer is injured, the law will hold them responsible for their failure to do so. 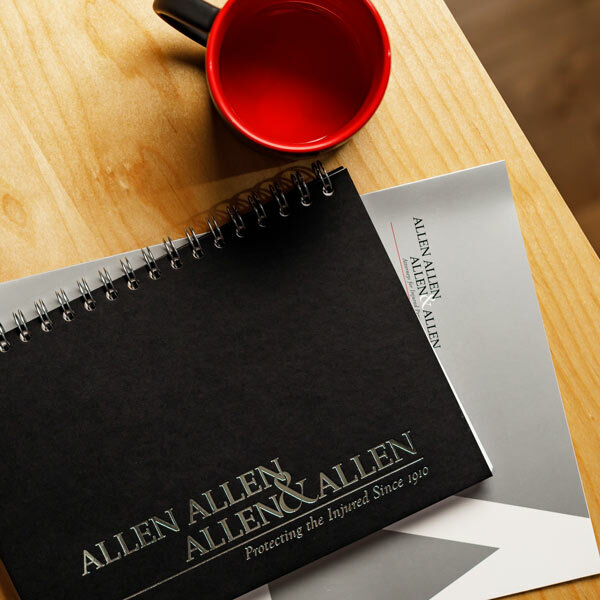 About the Author: Clayton is a Virginia personal injury attorney with Allen & Allen. Working out of the Richmond office, Clayton is a seasoned litigator with over 20 years experience handling personal injury cases, including premises liability.